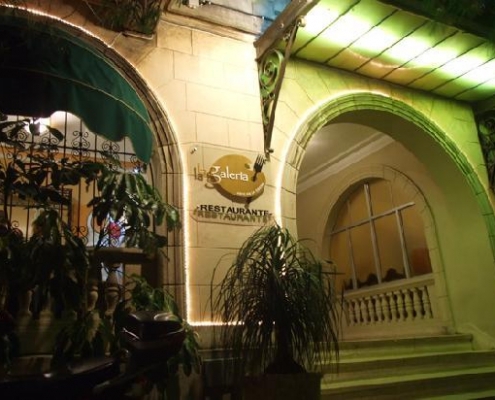 It’s not the cheapest option for dining out, but La Galeria is perhaps one of the best restaurants in Havana Cuba. It’s name means “The Gallery,” and the restaurant in fact doubles as an art gallery. Its excellence and popularity means that getting a table can be difficult, so it’s wise to make a booking. Eat amidst art Popular plate: The five set lunch options – each named after a different artist – are great value at CUC 9-11. Just as the name implies, this restaurant doubles as a gallery and each of the often stunning pieces of contemporary art and photography on display is for sale. 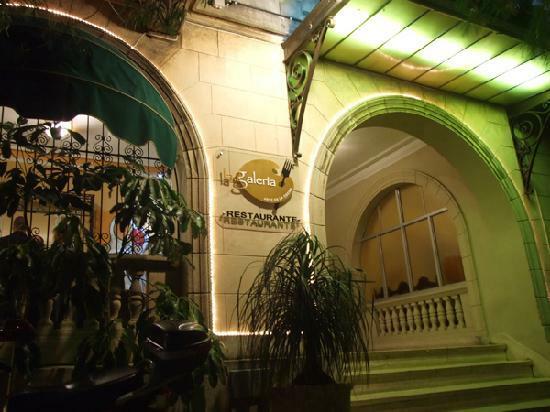 They change the exhibition every two months, which gives the Vedado restaurant a constantly new atmosphere to accompany the food. For lunch the sun-dappled terrace is charming, but dinner is more romantic in the low-lit, intimate dining room. The menu offers a range of French-influenced Creole food, but reassuringly depends on what fresh ingredients they can get hold of. Prawns battered in coconut are a particular treat.